What is the difference between Track4win Professional edition and Enterprise edition ? Enterprise edition has a file monitoring feature. Enterprise edition can monitor file changes, such as: modify/add/rename/delete. Please note that Enterprise edition can hide in Task Manager of Windows 2000/XP/2003/Vista. Professional edition can hide in Task Manager of Windows 98/me only. Yes. Track4Win can track all computer activities of a single PC or all computers in a computer network (corporate LAN or remote WAN or even Internet) . Will Track4Win slown down my network and computers ? Will it consume many bandwidth and system resources ? Can Track4Win record all visited website addresses (URLs) and time spent on Internet ? Yes. Track4Win can record all visited URLs even though Internet history and cookies are deleted. In addition to website address, Track4Win can record every visited web page title/caption and time spent on each webpage. connected by a VPN? How to set the client machines on remote sites ? Yes. Track4Win can monitor computers across WAN/Internet/Intranet, where TCP/IP is installed. You must put the server's IP address in the field of "Track4Win Server Name" , which is in Track4Win Monitor Options (the default setting is "localhost"). Can Track4Win work with Windows Terminal Services? Yes. Track4Win 2.0 and or above can work fine with Windows Terminal Services. If I am out of office and shut down the server, on which I run Track4Win Server, can I still record computer activities on other networked PCs ? Will I lost the client data that Track4Win Monitor has collected ? Even if you do not run Track4win Server sometimes (or the server is down, or the network is disconnected), the Monitor program can store monitoring data locally , and then would send them to Server when you run Server again. I know Track4Win's default database is MS ACCESS mdb, must we have MS ACCESS installed on our server machine ? No. You don't need to install MS ACCESS in order to view Analyzer data (the monitoring data in the mdb). Which back-end database does Track4Win support? Can we use MS SQL or MSDE ? How many days are allowed for evaluation? Are there any limitations in the trial version?. There is no functionality limitation except the free trial version is for 15-day and 10-user evaluation. After registration, you will get full functionality permanently. Where should I download the software package ? You should download Track4Win zip file on the Download page. (You may download either Enterprise edition or Professional edition.) You need unzip tool such as WinZip to uncompress the zip file into two exe files. Then you will get two files: one is Track4win Server Program installation file (such as Track4WinSvr.exe), the other is Track4win Monitor Program installation file (such asTrack4WinMon.exe). How to use the download files to install Track4Win ? The program has two parts: Track4win Server and Track4win Monitor. You need install Track4Win Server on the computer where you receive the monitoring information, and install Track4Win Monitor on the computers you wish to monitor. In Track4win Monitor program's Options, you must input the the server's computer name or its IP address in the Server Name field. (The default setting is localhost, which is for a single standalone computer monitoring. You need to change it for networked computer monitoring). Usually, this setting is the most important for Track4win setup. You may also deploy Track4win Monitor with Silent Install method (run output.exe once on each client machine) Please read an FAQ about this below. You may use Active Directory or other tool like psexec to remotely run output.exe. Where do I need to install and run Track4Win Server and Track4Win Monitor ? For example, I want to use computer A (my computer) to monitor the activity of computer B, C, and D.
You should run Track4Win Server on computer A, and run Track4Win Monitor on the other three computers: B, C, and D.
If you want to use Track4Win to track your own PC (computer A), you have to run both Track4Win Server and Monitor programs on the same PC (computer A). I cannot see any computer/user data on my Server computer after I installed Track4Win Server on my computer, and install Track4Win Monitor in the computers I wish to monitor. Do I have to do something to set it up? Those computers are already connected on the same computer network. You must correctly set the "Track4Win server Name" (with server's computer name or its IP address) in Monitor's options. Otherwise, the Monitor doesn't know where should it send the monitoring data. I run Track4Win in a computer network. How do I know Monitor and Server connect correctly and communicate well? You can also open the Analyzer to choose User to see if there is your workstation's computer/user name there. Or you may go to Track4win Server's Active User Page to see if there is computer/user name. Can I install and run Monitor in total "Stealth Mode" ? Will the Monitor component be "Hidden"? Does it run as a service on the client (Monitor) machine? Yes. During Track4win Monitor installation, check the box of "Don't create any icon", then there is no Monitor Icons in the Windows Start Menu. Also, after installation, you should make sure the settings in Monitor Options are appropriate: uncheck the checkbox [Options -> Standard -> Show Tray Icon on the Right Bottom], check the checkbox in [Options -> Standard -> Invisible in Windows Task] and check the checkbox in [Options -> Standard ->Start up Monitor when Windows Startup] . It runs as a service when you check the [Invisible] on Win98/me. After I hide all Monitor icons, how can I reactivate Monitor window because sometimes I need to exit or change Monitor settings? There are Hot Keys to simply activate Monitor and Server. We will send you a license email with Hot Keys after you purchase Track4Win. Make sure Monitor can "Start up Monitor when Windows Startup" before you hide the Tray Icon on the Right Bottom"
Can I also hide all Server icons and run Server invisibly ? Yes. The method is similar as Monitor stealth mode. But the Hot Key for Server is different. Please see your readme files. * You may install Track4Win Monitor on a computer which is NOT the one you wish to monitor. * Create a file called "output.exe" (or you may change the name if you would like). You may change the parameters there such as the server name, password, etc. (Please note that the default login password is 1234). * Run output.exe in the machine you wish to monitor. - If you use Active Directory, then you can set the start script for each user to run output.exe when the user log on the server. (This is a method to remotely deploy Monitor program silently. It just requires running output.exe once for each user). Can we also use scripts to deploy Track4win Monitor program ? ncpa-09 is the server name, you may change it to your server computer name, or you may also use its IP address. If you need screenshot feature, just simply add -capture into the mix. We have purchased 600 licenses. We hope to run Track4Win Monitor on our client machines in an automatic stealth mode. That is, we don't want to install Monitor manually and the client users should not know Monitor is running. Is there any solution for this ? Ultimately we would like to be able to deploy Track4Win using active directory and be able to set the options at the time of install rather than manually. Yes. Please read the previous two FAQs, which tells how to create output.exe and set it in Active Directory (or using scripts). * Input the parameters, such as user name, password, etc. The MS Access version of Track4Win is not efficient for our 200-user monitoring. But we don't have MS SQL. Is there an alternative for this ? * Configurate the MS SQL Server database setting in "DB Connection Config". It is compatible with MSDE. How to install and run Monitor on Terminal Services ? * Login with terminal services. If I want to fill the server's IP address into the Server Name field in Monitor Options. How can I find the server's IP address ? My server is using XP. For Windows XP etc. on the server machine, you may go to Run, type CMD (for COMMAND Prompt) and type "ipconfig" to get the IP address for the server. How many product licenses I need to purchase if I want to use my computer to monitor other 8 computers ? At least 8. The quantity of license you need to purchase depends on how many users you want to monitor at a time. You don't need to count the server for license quantity. But if you also want to monitor/track your own computer (the server), then you need to purchase at least 9 licenses. 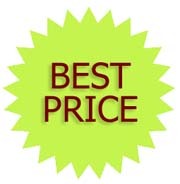 Please note that the price listed in our BuyNow page is cost per user, if you need monitor any N users at the same time, you need to purchase N licenses. Therefore, precisely the license unit cost is on user basis. Is the software cost one-off payment ? Do I need to pay any annual fee ? The cost is one-off payment. You don't need to pay any annual fee. We offer free email support. We will provide live chat support soon. Can we order Track4win with PO (Purchase Order) ? How to proceed ? Yes. We sell Track4win through Kagi, an e-commerce company in CA, USA. (www.kagi.com). Kagi accepts PO. You must also place an order online. And select "Purchase Order" as the payment method. Then follow the instructions thereafter. If you have any questions about the order process, please contact Kagi directly. Do I need to register Track4Win for both Track4win Monitor and Server programs? No. To register Track4Win, you just need to use Server's Hardware Code. The registration process in on Track4win Server side only. Where is the hardware code, how to find it ? I cannot register Track4win successfully with the software unlock key. How should I do ? If the problem still exists, please send us a screenshot of the registration form into which you already input all registration info. Usually there might be a minor mistake. The screenshot will help us find out the cause. I found my hardcode is different from the one we submitted during the order process. why? Is the unlock key still valid for the new hardcode. Maybe you are using RAID in your system. (Several hard disks are loaded) The hardcode contains two numbers. In your case, only one number would change, the other number would not change. If so, the unlock key we sent you will still work. And then we will send you a new software unlock key to register the new version of Track4Win. I have not received my unlock key after I place an order, why ? The unlock key will be sent within 2 business days (usually within one day). Please check your spam filter setting to make sure your email application can receive the unlock key sent by Track4win or SysTracker email account. Or you can click here to query your unlock key by entering your Kagi TransactionID. I am using Track4Win and want to order additional licenses. How should I do ? I have 10 stand-alone computers needed to be monitored respectively, can I purchase 10 licenses online, and then will you send me 10 one-user software unlock key to register the software ? Yes. In your case, you need to purchase 10 licenses online, and we will send you 10 one-user license keys to register Track4win on ten computers respectively. (You need install both Track4win Server and Monitor programs on each stand-alone computer) And please tell us all hardware codes of those 10 computers. (You may leave 10 hardware codes in the comment box on Kagi order page. If we need change the Server machine's hardware (or replace it with a new server), can we get a new unlock key for the new server machine? If you request new software unlock key within ONE YEAR from the purchase date. We can provide you with a new software unlock key for free. Please send us the hardware code of the new server machine as well as your order info or old registration info. We will send you a new unlock key for registration after verifying your data. Can we upgrade our Track4win Professional edition to Enterprise edition ? What will be the cost and how to proceed ? To upgrade your Professional edition to Enterprise edition, you need to place an order on our Upgrade page http://www.track4win.com/upgrade.asp , pay for Enterprise edition, input the license quantity you have, and the hardware code. (You need uninstall Track4win Professional and re-install Enterprise edition, then you we will get a new hardware code starting with ENT). We will send you a new unlock key to register the Enterprise edition. We purchased SysTracker (Track4win Pro 2.1 or older versions) before, we want to upgrade to the latest version of Track4win Professional edition. What will be the cost and how to proceed ? To do the upgrade, you need to place an order on our Upgrade page http://www.track4win.com/upgrade.asp , pay for the edition you need (here is the Professional), input the license quantity you have, and the hardware code. (You need uninstall the old version and re-install Enterprise edition, then you we will get a new format hardware code: Professional edition starting with Pro, Enterprise edition starting with ENT). We will send you a new unlock key to register the new version. How can I get screenshot from the monitored desktop ? I know Track4win has a screen capture feature. In Track4win Monitor Options, you must check the box of "Enable Screen Capture." Then in the Track4win Server's "Active User" page, double click each user, then you can get its screenshot. Can I know what my employees are doing on their computers real-time? I want to know each computer's current status. How ? Yes. Track4Win implements real-time monitoring. On the Track4Win Server panel, click "Active User" tag page, then you can see all users' current status. How to get the latest data in Analyzer ? You may simply click "Refresh" button to refresh all data in Analyzer. You can also go to each report page such as Detail Log and Web Log, to right click mouse to select "Refresh" . In addition, you may create a new group for a set of programs related to the activity. For example, drag Outlook, IE, and other browser applications, etc into a new group. Then you can monitor Internet activity. Can we use more than one computers to view the monitoring data in Analyzer ? For example, we need to monitor 400 computers which are in 4 departments. Four department managers want to use their computers to view the monitoring data respectively. Is there a method to share the Analyzer data? 5) Both Computer_A and Computer_B can run Track4Win Analyzer to get the same reports NOW. You must also install Track4win Server on another computer. You may use Database Connection Config tool to set the database connection in Analyzer, with the same settings (server, database, etc.) in the Server and another computer where you want to view Analyzer data. (Run Analyzer on that computer to view monitoring data. Please note that registration is not required on all computers running Track4win Server (You just need to complete the registration process on one computer for this case) . Database Connection Config tool is in Track4win Server package. How does Track4Win track time usage? I don't understand the what those columns mean in Analyzer reports? Active Time + Inactive Time = the total time when the program is running on the front. If the user opens the program on the front, then s/he leaves the computer for 30 mins, the time is recorded as Inactive time. If the program is not running on the front or the computer is in idle status, then the time is not recorded as Active/Inactive time. Can I know the concrete time for each computer activity, e.g. when my employee starts to surf Internet ? Yes. Please go to Detail Log, in which there are details of time info including Start Time and End Time for each activitity. And you may click column name (such as URL) to sort the data in each report in Analyer in order to easily view the data you need. Is there a way to purge the old data automatically after a specific time period? The database size is huge now. And the Analyzer stops working to receive new data. Yes. Track4Win provides a 'data auto-cleanup' setting in Track4win Server Options, so that the software can remove some old data automatically after a specific time period. Go to Track4Win Server--- Options---Database--- Data Cleanup, to check the option box and input the day number. (e.g. "30" days -- Track4win will delete data collected 30 days ago.) In addition, you can also manually delete data in Analyzer (File--Delete Record). If your database size is growing too large so fast (especially if you need monitor more than 20 users), MSDE or MS SQL is recommended to be your back-end database. Can I monitor computers via Internet (or WAN/VPN,etc.) ? Can I manipulate the data by myself and create my own report? Yes. Standard version Track4Win is using an Access database to record data, so you can read it using ACCESS, VC, VB, DELPHI to create your own report or application for free. The database is open to users. Which network port does Track4Win use ? Track4Win uses UDP 8090 to send the data. I encountered "UDP port 8090 has been used" problem. What can I do ? If the port 8090 is used by other devices, you can change to use other unused UDP port like (11000,23999 ...), But you must change the port number setting in both Monitor and Server programs at the same time. In some old versions of Track4win, there is a bug that will also bring such a warning message if you run Track4win as a service (Service is installed in Track4win Server) and also run Track4win Server once again. If it is the case, you may download the latest version of Track4win Server and re-install it. I encountered "Please use administrator to Run these server !' Message, What can I do? Track4Win must run in the administrator authority. You should have the administrator authority, You can right click the STserver.exe , chose "Run As.. " to run server in administrator authority. I encountered an Error Message: Invalid object name 'TrackDataView' , Or " Microsoft jet database engine input table or query trackdataview error". What can I do? This is a bug in some old version. Please download the latest version of Track4win from our Download page and re-install the software. I encountered "Error Message: File sharing lock count exceeded. Increase MaxLocksperfile registry entry", What can I do? 4. In the right pane of Registry Editor, double click MaxLocksPerFile. 5. On the Edit DWORD Value dialog box, click Decimal. 6. Modify the value of the Value data box as required, and then click OK. Note: This method changes the Windows registry setting for all applications that use the Microsoft Jet database engine version 4.0. If we want to use more than one Server monitor our computers, how should we do? If you just want to use another computer to view monitoring data in Analyzer, no need to set up an additional server. Please see the FAQ above, which is about how to view Analyzer data from another computer that is not the server. If you do want to set up an additional server, you must understand the solution is usually for the case you need to share workload with more servers in order to monitor a huge amount of computers. And there is a limitation: you have to split the users quantity for being monitored. For example, you wnat to set up two servers to monitor 100 users in total. Then you must have one server connect 40 users, and the other connect 60-users. So you need two keys: 40-user key and 60-user key, to register the software respectively. Two servers can connect to the same database, so you can view all Analyzer data from each server, but in each Track4win Server's Active User page, you only can view 40 users or 60 users. What are the computer system requirements to run Track4Win Server and Track4Win Monitor? 3 MB free disk space. Wn98/me, Windows 2000, Windows XP, Windows 2003 Server, Vista, Windows 7. Windows 2000, Windows XP, Windows 2003 Server, Vista, Windows 7, you must have Administrator privilege to run the Track4Win Server. © Copyright 2000-2014 Track4Win Software, All Rights Reserved.